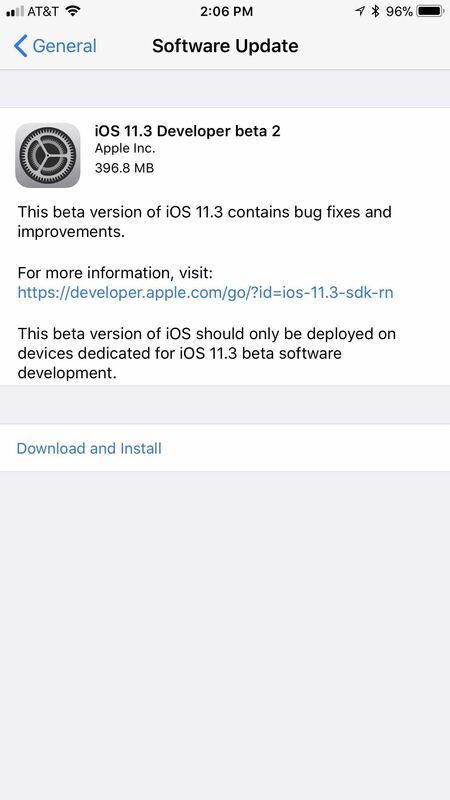 Apple released the second beta for iOS 11.3 on Tuesday, Feb. 6. The update comes two weeks after the original announcement and release of the iOS 11.3 beta, which brought new Animoji, Messages on iCloud, and Apple Music Videos, among other features. One glaring omission was the promised battery health tool, but iOS 11.3 beta 2 just introduced it. You can download the newest beta version now if you're a developer or public tester with a valid configuration profile. Just go to "General" in your Settings app, then tap on "Software Update." 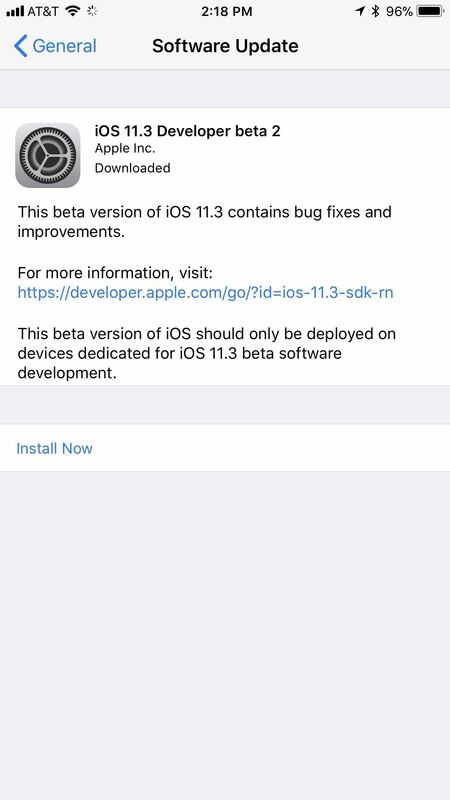 Next, follow the on-screen instructions to download and install iOS 11.3 beta 2 onto your iPhone. The major feature of the second beta is the long-awaited battery health information and control, as we've already mentioned. 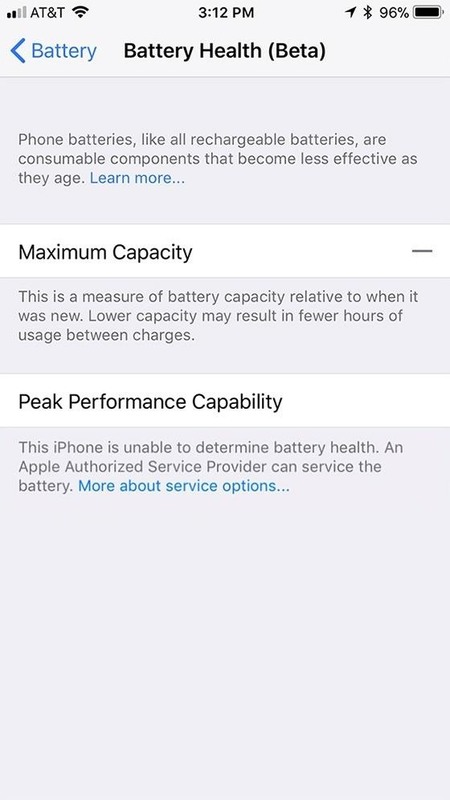 Arriving as a "beta" feature itself, the tool lets you see your battery's maximum capacity compared to when it was new, as well as a peak performance capability rating. 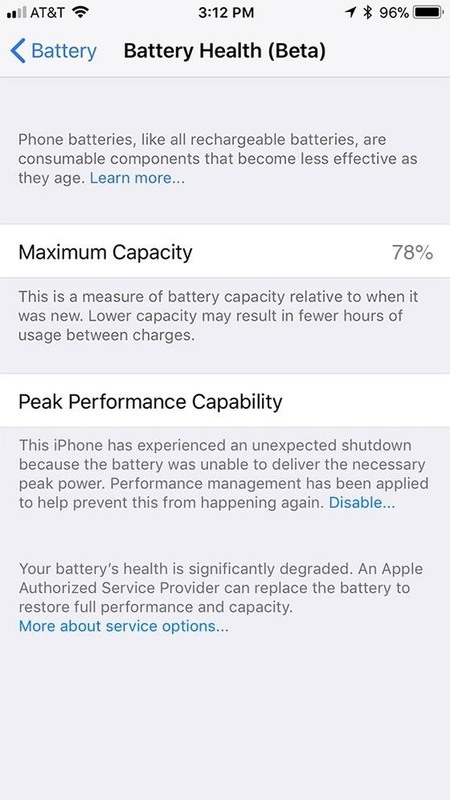 If your iPhone experiences a shutdown due to an aging battery, Apple will still apply its heavily-criticized battery slowdown, but you will be able to disable it from these settings. Apple does say you cannot reverse your decision, and your iPhone will not be slowed-down unless it experiences another battery shutdown. 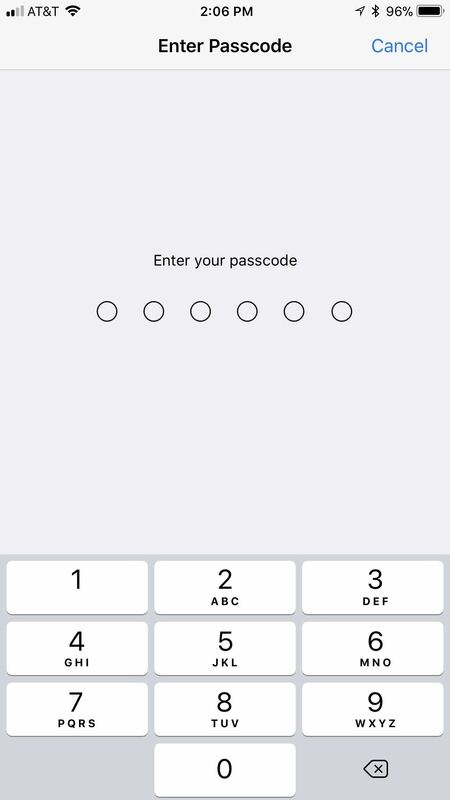 Another update in iOS 11.3 beta 2 is just for iPhone X owners: If you perform tethered updates or restores from iTunes, you will need to be using iTunes 12.7.3 to make sure things like Face ID continue to work as expected. Syncing music with iTunes should not affect anything. Also included in the iOS 11.3. beta 2 release notes is a statement that the 6th-gen. iPod touch is not yet compatible with iOS 11.3, but will be at a future time. Aside from all this, we are anticipating other new features to arrive as soon as beta 3 hits in the coming weeks. While the first beta saw the long-awaited Messages on iCloud and AirPlay 2, we're still waiting on Business Chat, which Apple hopes will make customer service as quick and convenient as its Messages app. Business Chat will be available in beta in the full public release of iOS 11.3 this spring.